Obituary – Mitchell, Kenneth Bruce « Perry High School Alumni Association, Inc.
﻿Wrestling 49-51, Baseball 49-51, Cheer Leader 50-51, F. F. A. 48-51. Kenneth B. Mitchell, 78, of Perry, Oklahoma was born to Oscar R. and Creta Marie Clark Mitchell. 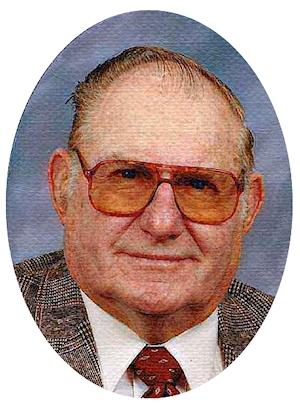 He was born August 8, 1932 in Perry, Oklahoma and died Friday, October 8, 2010 in Perry, Oklahoma. 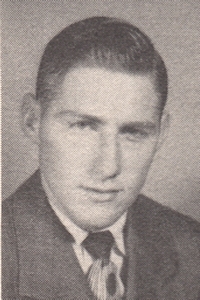 He graduated from Perry High School in 1951. He married Delores Francine Brown on June 1, 1952 in Perry, Oklahoma. They were blessed with three children. Kenneth served his country as a member of the United States Army, serving from 1953 to 1955, during the Korean War. He was a very active member of the First Baptist Church and the Perry High School Alumni Association, Inc. He was a member of the Farm Bureau, American Legion and the Cowtown Twirlers Square Dancing Club. Kenneth enjoyed watching his grandchildren play sports. He was a kind and caring person willing to always help others. His hobbies included spending time in his garden, sharing vegetables with his friends. Also, taking care of his cattle, and cheering for the Dallas Cowboys Football team. Funeral services will be 2:00 p.m. Tuesday, October 12, 2010 at the First Baptist Church. Brother Aaron Summers will officiate. Interment will be in Grace Hill Cemetery. Services are under the direction of BrownDugger Funeral Home. The family will receive friends from 6:00 p.m.to 8:00 p.m. on Monday, October 11, 2010 at BrownDugger Funeral Home. Memorials may be made to the First Baptist Church or Perry High School Alumni Association, Inc. in care of BrownDugger Funeral Home, 1010 N. 7th Street, Perry, Oklahoma 73077. Kenneth is survived by his wife of 58 years, Delores Mitchell, of the home two daughters, Kenna Mitchell Buffington and her husband, Larry, of Perry, Oklahoma, and Kimberly Mitchell Sinclair and her husband, Ron, of Stillwater, OK one son, Bruce D. Mitchell of Colorado Springs, CO three grandchildren, Derrick Sinclair of Stillwater, OK, Daxton Sinclair and his wife, Jenna, of Oklahoma City, OK, and Desirae Buffington Rice and her husband, Jason, of Guthrie, OK and three greatgrandchildren, Camryn Faith Sinclair, Peyton Renee Sinclair, and Daelon Royal Rice. He was preceded in death by his parents, Oscar and Creta Mitchell and one brother.